When most of us think back to our childhoods, many of the memories that pop up are around the holidays. This may be due in part to the many photographs that were taken and those images tend to stick in our minds. There will be no shortage of pictures taken this year as everyone gathers together, opening presents, preparing dinners and celebrating the holidays. Good quality cameras have made significant improvements in features and size over the last decade. Traditionally the best pictures have come from Digital SLR cameras, but smaller point and shoots have come a long way. But while these cameras can produce some amazing pictures, they don’t tend to be with you at every moment during the holidays. This means you could miss that great candid shot. There is where you smartphone can save that special memory. While not at the same quality as regular cameras, Smartphone cameras have also come a long way. The average camera quality on a smartphone is about 8MP in image quality. This is on par with your typical point and shoot camera. The one major difference between the two is the optics. A camera phone, even with the best optics, would have trouble rivaling a decent point and shoot camera, and most definitely can’t be compared with a Digital SLR camera. But for the quality that you would lose, to be able to get that image for posterity is worth the trade off. Some phones, like the new Nokia Lumia 1020 have bridged that gap by including a 41MP sensor in the phone for stunning pictures. Apple has also talked at great length about how good quality the iPhone’s camera is, but it doesn’t come close to the 41MP of the Nokia model. 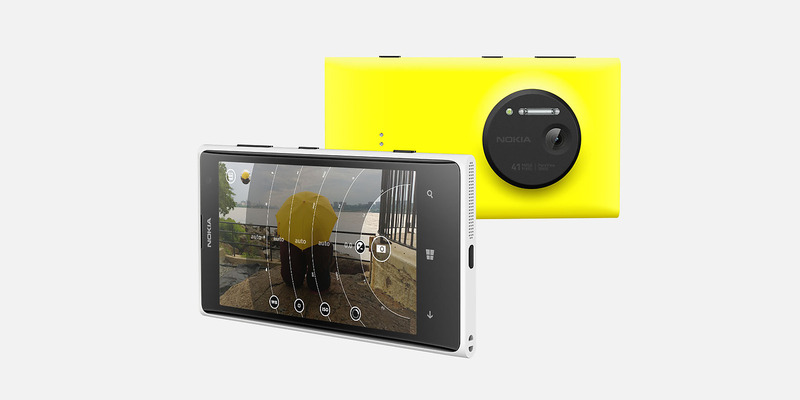 Perhaps something to put on that Christmas wish list is a new camera phone. Now that you have cameras to cover everything, where do you store all the pictures? There are lots of online photo sharing sites like Flickr. com and Google Photo, (Formerly Picasa) plus sites like Facebook, Instagram, Google+ and many others. Try and find one area, either online or on a computer, to store all your photographs for easy sorting later. I use Google Photos on Google+ because it syncs up all the photos I take with my Smartphone immediately. I also have an Eye-Fi digital storage card for my camera which also uploads my photos in real time to Google for sorting. If you haven’t heard of Eye-Fi, you should check out their products. Built in to your Standard SD card is a WiFi chip which connects to your wireless network and sends the pictures you take to an online storage site where you can transfer them to an online portal. Makes it quick and easy to get your pictures and start sorting them. This holiday, take lots of pictures and enjoy the company of those around you. Who knows, many years from now, those candid camera phone shots may be some of your best memories. #TechTip: Be careful about what you post online over the holidays. Posted travel info can attract unwanted attention to your empty house. The holidays are a great time for getting away from the cold to sunny spots down south. Or maybe you’re planning a trip to visit family over the holidays. Whatever your plans are, enjoy them. Take lots of pictures. Tell all your friends how great your trip was (or not so great, depending!) but just make sure to tell them AFTER you get back. Social media is a wonderful tool to share your memories with friends and family about your travels and allow them to experience what you are in real time vicariously through you. But this has also led to a number of unsavory individuals trolling the internet finding you your house is empty, and then proceeding to make sure your house is empty before you return home. Instagram is wonderful for sharing your pictures and videos, but again it is publicly accessible. Save the pictures on your camera or smartphone until you have returned or are on your way home. Make sure you have friends or neighbours checking on your place while you are gone. Don’t start the new year having to deal with insurance companies to replace all your home contents. Take precautions and have an enjoyable trip. Tech Tip: What are Hashtags and how can they be used? Everyone from news stations to popular comedians have been talking about Hashtags recently, but for someone following from the outside, you may ask yourself: What exactly is a Hashtag? How does that happen? With social media, tweets and posts come at an alarming rate and sometimes make it hard to follow. A Tweet has a very short life span. Depending on the content, your group of followers and any retweets, a tweet can last anywhere from 30 minutes to 90 minutes before it falls off the radar. Facebook posts and other social media platforms tend to have longer life spans, but even then not by a whole lot. What a hashtag will do when added to your post or tweet makes it easy to be searchable. It can actually do this in two ways. 1) Tweets can be seen in real time by people who do not follow you but follow the same hashtag. You may not know who is talking about a specific topic, but if everyone who is uses a hashtag, then a quick search will pull up the current live conversation. For example, if you wanted to see who was talking about Canadian politics, you can search for the hashtag #CDNpoli or about a specific event in Canadian politics such as #SenateCA . 2) Tweets can be pulled up even if they were sent out a while ago. If you search for a hashtag, even one that doesn’t have a current conversation going, you can generally find that topic searchable. There is a third use for hashtags that is a little different. Since anyone can make a hashtag about anything, it has become common to use hashtags as a joke or to add emotion, emphasis or sarcasm to a tweet or post. A tweet about hashtags could include something like #Whatiswithallofthesehashtags or something other to get a point across. Hashtags can go anywhere in a post or tweet. The only things you need to know are that you can not have any spaces between words and there can be no other punctuation in it. Generally you should not include more than 1 or 2 hashtags in a post or tweet, but there are some exceptions for some social media platforms like Instagram where hashtagging almost every word to make it searchable has become quite common. There are some great articles out there if you have more questions on hashtags such as this Beginners guide to Hashtags from Mashable or directly from Twitter. There are many popular hashtags that people can follow such as #FollowFriday which encourages people to tweet out the usernames of people you think your followers should also follow. Since anyone can make one, feel free to have some fun making your own or use it in a Google search or Twitter search for important or fun discussions online.